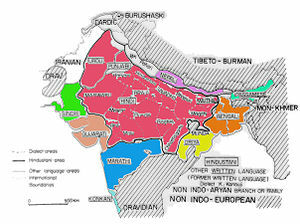 The Bhojpuri-speaking region, due to its rich tradition of creating leaders for building post-independence India such as first President Dr. Rajendra Prasad followed by many eminent politicians and humanitarians like Dr. Krishna Dev Upadhyaya, was never devoid of intellectual prominence which is evident in its literature. Apart from our first President Rajendra Prasad, two of our Prime Ministers : Lal Bahadur Shastri and Chandrashekhar, were also basically Bhojpuri speaking persons. Father of Total Revolution and eminent Socialist Lok Nayak Jay Prakash Narayan was a Bhojpuri speaking person too. 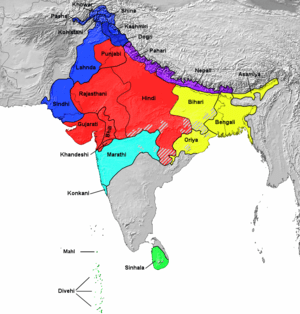 Bhojpuri became one of the basis of the development of the official language of independent India, Hindi, in the past century. Bhartendu Harishchandra, who is considered the father of literary Hindi, was greatly influenced by the tone and style of Bhojpuri in his native region. Further development of Hindi was taken by prominent laureates such as Mahavir Prasad Dwivedi and Munshi Premchand from the Bhojpuri-speaking region. Bhikhari Thakur, known as the Shakespeare of Bhojpuri, has also given theater plays including the classics of Bidesiya. Pioneer Dr. Krishna Dev Upadhyaya from Ballia district devoted 60 years to researching and cataloging Bhojpuri folklore. Dr. H. S. Upadhyaya wrote the book Relationships of Hindu family as depicted in Bhojpuri folksongs (1996). Together they have cataloged thousands of Bhojpuri folksongs, riddles and proverbs from the Purvanchal U.P, Bihar, Jharkand and Chotta Nagpuri districts near Bengal. The Bhojpuri literature has always remained contemporary. 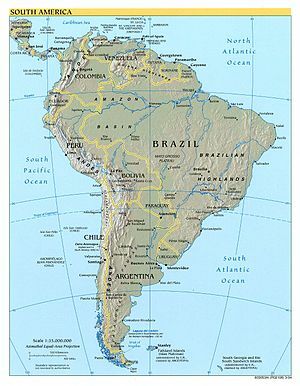 It was more of a body of folklore with folk music and poems prevailing. Literature in the written form started in the early 20th century. 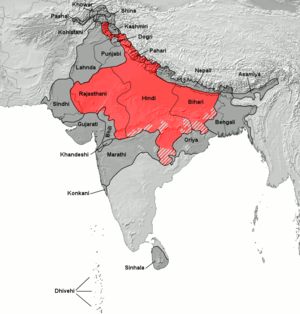 During the British era, then known as the “Northern Frontier Province language”, Bhojpuri adopted a patriotic tone and after independence it turned to community. In later periods, following the low economic development of the Bhojpuri-speaking region, the literary work is more skewed towards the human sentiments and struggles of life. A recent publication (2009) ‘Bhojpuri-Lok Sahitya: Lok Geeton Ki Samajik Sanskritik Sandarbh Evam Prishthbhumi” (Bhojpuri Folk Literature: Social and Cultural Landscape of Folk Songs) by Dr. Dharmveer Singh (Publisher: Chaukhamba Sanskrit Bhavan, P.O. Box 1160, Chowk, Varanasi-221001, India) contains an exhaustive research on the historical and social background of the origin and temporal development of this language in greatest detail. This book is exhaustive in its approach and is a gem for anyone who is interested in Bhojpuri as a language. The most impressive aspect of the book is the collection of folk-songs that the author has gleaned from various sources. With the advent of modern technology and effect of cinema, these folk-songs are becoming extinct. This book preserves not only the songs in a written form but also provides the context in which they should be viewed and appreciated. Bhojpuri Writers – Viveki Rai Is a famous Bhojpuri writer. Bhikhari Thakur, Mahender Misir and Moti B. A. are other notable dramatists and poets. Mahapandit Rahul Sankrityayan also wrote some books in Bhojpuri. Bhojpuri over the course of time has been written in various scripts by various people. Bhojpuri until late 19th century was commonly written in Kaithi script as well as Nasta’liq (Persian) script. Mention of Bhojpuri literature cannot be complete without Bhikhari Thakur and his immemorial Bidesia. However, it is unfortunate that no conscious attempt is being made to preserve his literature which is mainly in various folklore. A recent publication ‘Bhojpuri – Lok Sahitya: Lok Geeton Ki Samajik Sanskritik Sandarbh Evam Prishthbhumi” (Bhojpuri Folk Literature: Social and Cultural Landscape of Folk Songs) by Dr. Dharmveer Singh (Publisher: Chaukhamba Sanskrit Bhavan, P.O. Box 1160, Chowk, Varanasi-221001, India) contains an exhaustive research on the historical and social background of the origin and temporal development of this language in greatest detail. This book is exhaustive in its approach and is a gem for anyone who is interested in Bhojpuri as a language. The most impressive aspect of the book is the collection of folk-songs that the author has gleaned from various sources. With the advent of modern technology and effect of cinema, these folk-songs are becoming extinct. This book preserves not only the songs in a written form but also provides the context in which they should be viewed and appreciated. Kaithi script was used for administrative purposes in the Mughal era for writing Bhojpuri, Maithili, Bangla, Urdu, Magahi and Hindi from at least 16th century up to the first decade of 20th century. Government gazetteers report that Kaithi was used in a few districts of Bihar through the1960s.It is possible that Kaithi is still used today in very limited capacity in these districts and in rural areas of north India. The significance of Kaithi grew when the British governments of the Bengal Presidency (of which Bihar and some southern districts of Nepal was territory) and the NorthWestern Provinces & Oudh (hereafter, NWP&O) selected the script for use in administration and education. The first impetus of growth was the standardization of written Kaithi in 1875 by the government of NWP&O for the purpose of adapting the script for use in formal education. The second was the selection of Kaithi by the government of Bihar as the official script of the courts and administrative offices of the Bihar districts in1880.Thereafter; Kaithi replaced the Persian script as the writing system of record in the judicial courts of Bihar. Additionally, on account of the rate of literacy in Kaithi, the governments of Bihar and NWP&O advocated Kaithi as the medium of written instruction in their primary schools. Before 1880 all the administrative works in Bihar was done in this Persian script and possibly all the educated Muslims in the Bhojpuri speaking region wrote unofficial works in Nasta’liq script. By 1894, official works were carried out in both Kaithi and Devanagari in Bihar which probably started giving way to replacement of Kaithi completely by Devanagari. At present almost all the Bhojpuri works are done in Devanagari even in the overseas islands where Bhojpuri is spoken. Mahuaa TV and Hamar TV are the Bhojpuri Channel.